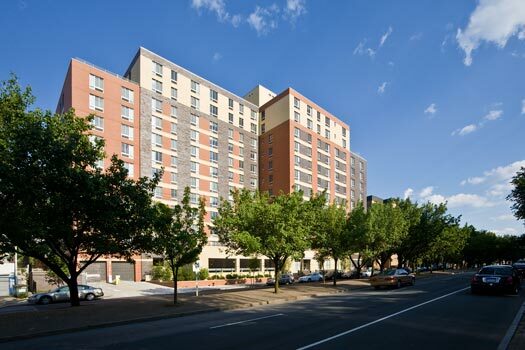 With green amenities and commanding views of the Hudson River, this new mixed-income development offers 137 green apartments that set new standards for rental residential buildings in the Metro-NY area. The building boasts a highly efficient envelope, green rooftops, bamboo flooring, and energy efficient lighting, appliances and fixtures. On-site amenities include below grade parking, laundry facilities, a club/recreational room and gym, indoor and outdoor play spaces and rooftop terraces accessible for residents’ use. 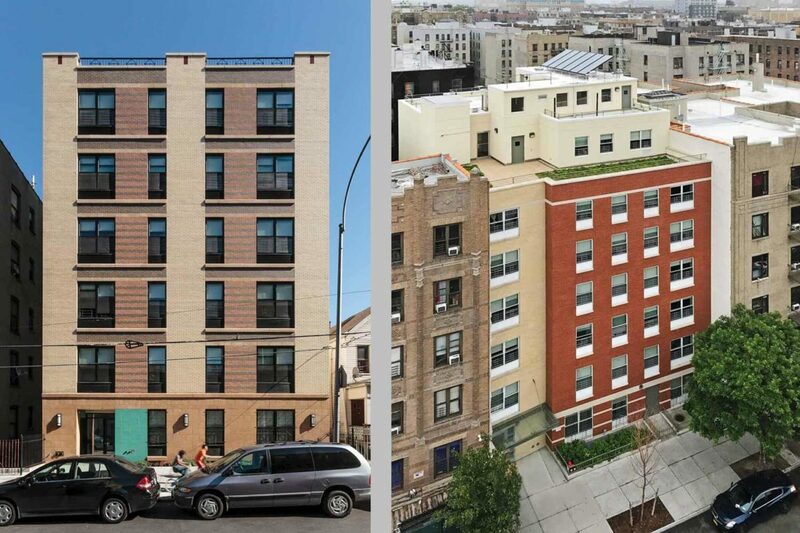 These two affordable, multi-family housing buildings in the Bronx are built with a focus on sustainability. The Decatur Green project features a rain water harvesting system for use in toilets, a high efficiency HVAC system and high performance building envelope. The Tiebout Green project also uses a rain water recycling system in addition to a high efficiency boiler plant and a solar thermal hot water system. All apartments are equipped with high efficiency appliances, fixtures and lighting, low VOC paints and sustainable finishes. 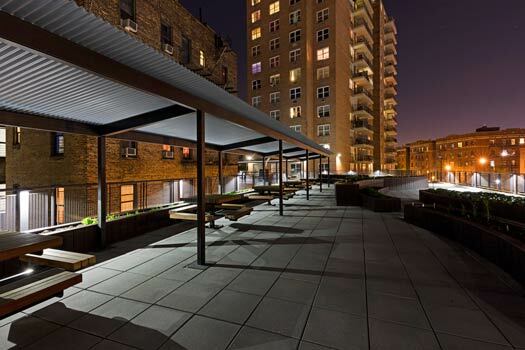 A rooftop terrace and a community room equipped with a full kitchen are amenities made available to residents. 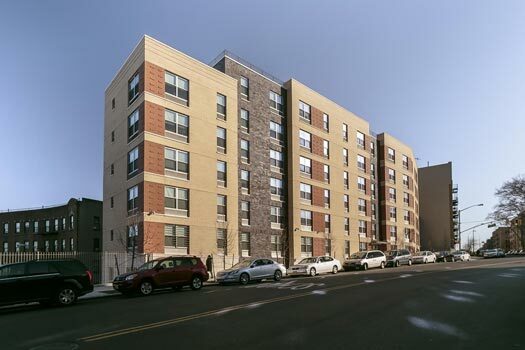 This Green Communities tenant-in-occupancy rehabilitation took a severely distressed high rise in the Bronx and transformed it into high quality, green, affordable housing. Going beyond the standard rehabilitation project, OCV transformed this property into a community asset by converting the building’s parking lot rooftop into an expansive rain harvesting terrace with gardening planters for resident use. See video about the project. The Wartburg Adult Care Community turned to OCV for a new, LEED certified, affordable housing facility to add to their 26-acre campus for seniors. OCV delivered a unique modern classic that maintains the integrity of the 150+ year old campus as well as that of the natural surroundings with a wood frame structure that elegantly combines traditional materials with contemporary details. 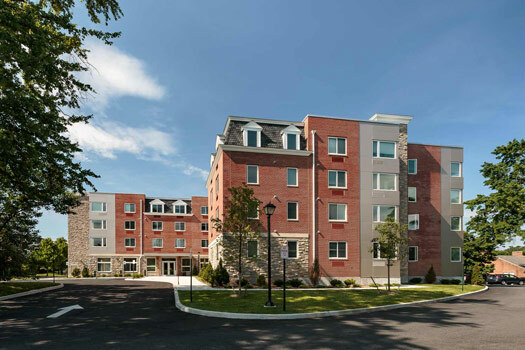 The new building provides 61 units of LEED for Homes Gold and NYSERDA-certified supported yet independent senior living in a healthy, accessible, barrier free design. 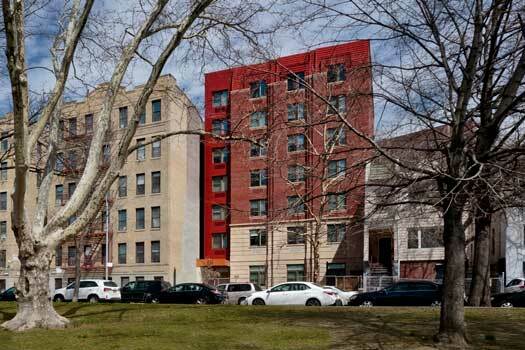 Mosholu Gardens brings LEED Silver supportive housing to the Norwood section of the Bronx. This 7-story new construction features residential efficiency units with private kitchens and baths, indoor and outdoor communal gathering rooms, as well as spaces for support services. The challenges presented by an irregular site configuration on a steep incline of bedrock were used as opportunities to create a multi-layered design with entrances on two levels and three individualized green spaces. This sustainably built veterans residence provides green supportive housing to veterans returning from Iraq and Afghanistan, as well as those with a history of homelessness and substance abuse. With common rooms, gardens, gyms and computer labs, the new residence is designed to create a sense of community among veterans of all eras. It features green roofs, pervious hardscapes, energy efficient HVAC systems and appliances, a microturbine for waste energy capture and reuse, and low impact materials such as local, recycled, renewable and reclaimed. 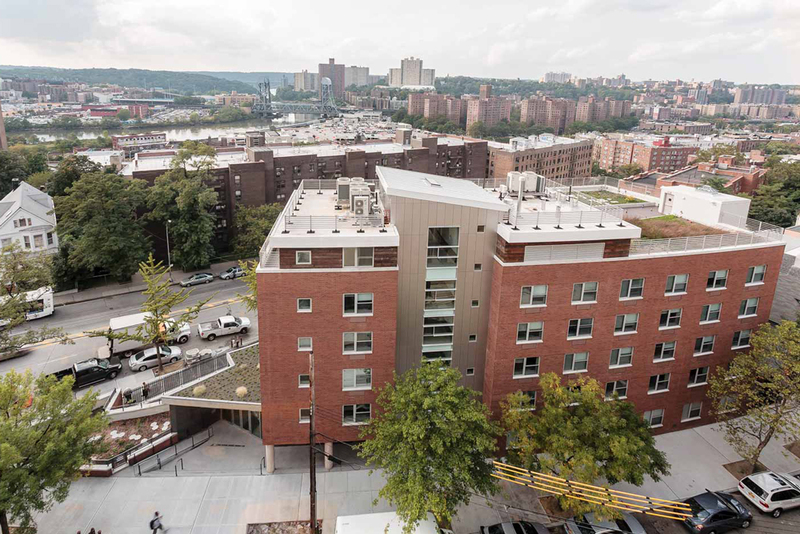 In 2015, Kingsbridge Terrace was awarded ‘Outstanding Residence of the Year’ by the Supportive Housing Network of New York.